The really amazing thing about the enormous wall of light is that it’s completely self-sustaining. 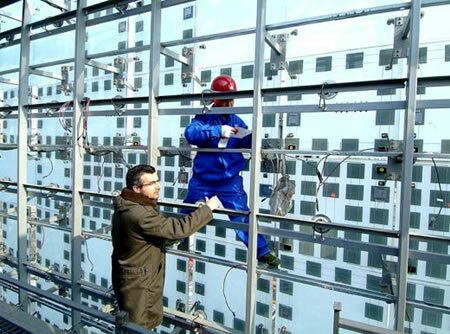 That is, the light panels themselves harness the energy of the sun during the day to power a colorful light show at night. GreenPix was designed and implemented by New York architecture firm Simone Giostra & Partners, along with global design and engineering firm Arup. 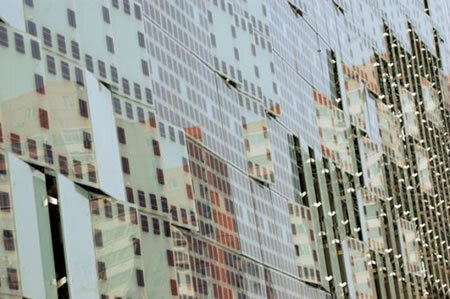 GreenPix – Zero Energy Media Wall uses thousands solar photovoltaic capture cells attached to a grid of glass panels, each of which conceals an array of computer-controlled LEDs. 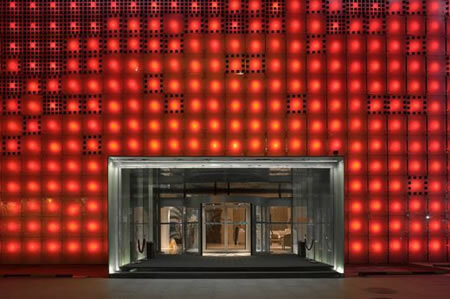 The wall was constructed for visitors attending the 2008 Beijing Olympics, and located in the Xicui entertainment complex, near the site of the games. The display opens to the public this month, and will feature live and recorded video performances works by artists from around the world. 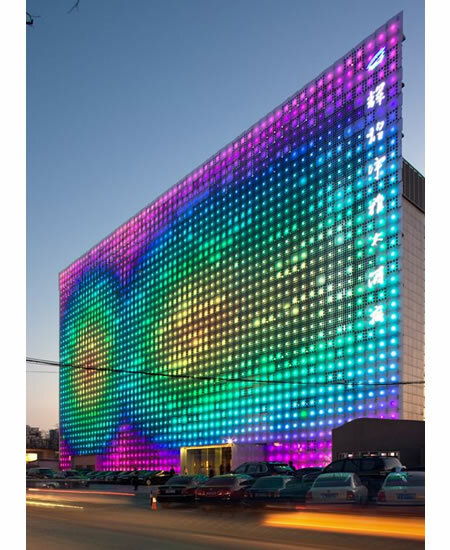 This huge LED screen displays mesmerizing patterns of light and video to passersby. But You can read more about the project over on the GreenPix website.